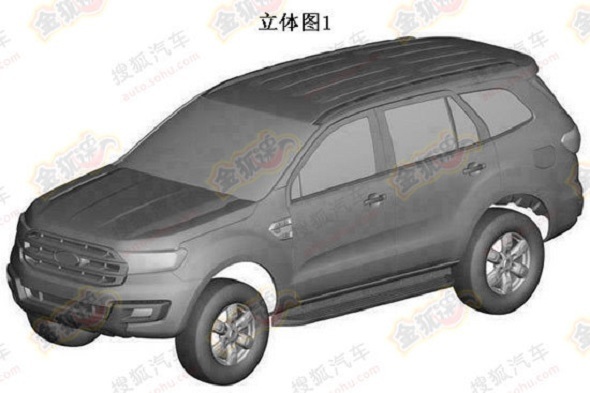 The Ford Everest Concept (known as Endeavour for India) broke cover last year and the same is due for a showcase in production guise later this year. The production ready variant of the SUV is expected to carry majority of the design cues of the concept. 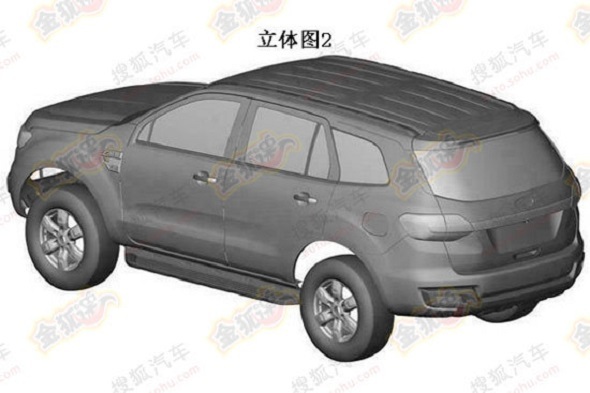 The car has been caught testing extensively in cold weather and now, patent drawings of the SUV have emerged onto the interweb. 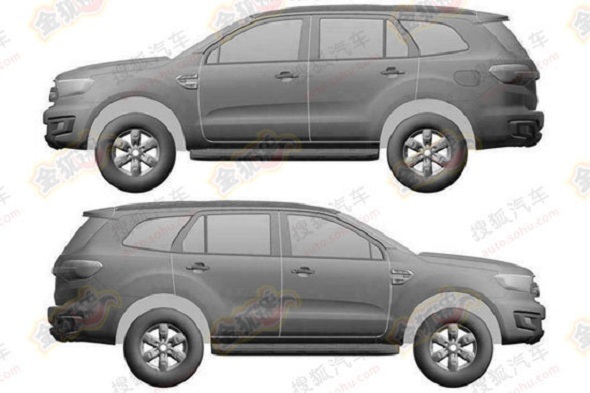 The patent drawings suggest that the production version of the 2015 Endeavour will be similar to the concept version in terms of design. The SUV retains a butch appearance with a high ground clearance that is common across SUVs built on body-on-ladder frames. To take on the best selling Toyota Fortuner, the 2015 Endeavour gets a sculpted bonnet and a trapezoidal grille up front, two design bits that further add to the aggressive stance of the SUV. Based on the all-new Ford Ranger pick-up truck, the 2015 Endeavour will get a body-on ladder chassis, as is the case with the outgoing version. It will be a 7-seater SUV with 3 rows of seats. The third row is usually meant for kids or adults over short rides but if Ford manages to package the seats well and make the SUV a spacious 7 seater, it could win many buyers. The SUV is expected to make its way to Indian shores late next year and will be gunning for the likes of the Toyota Fortuner, the Mitsubishi Pajero Sport and the Ssangyong Rexton. In the interim, Ford India could launch a slightly refreshed Endeavour to keep the buzz around the current model before the next-generation model comes in. The facelifted Endeavour is likely to get a Figo-like front grille and slightly tweaked headlamps. Under the hood, the 2.5 liter and 3.0 liter TDCI turbo diesel motors will continue to be offered, with manual and automatic gearbox options. A 4X4 drive mode will be offered on the top end model.